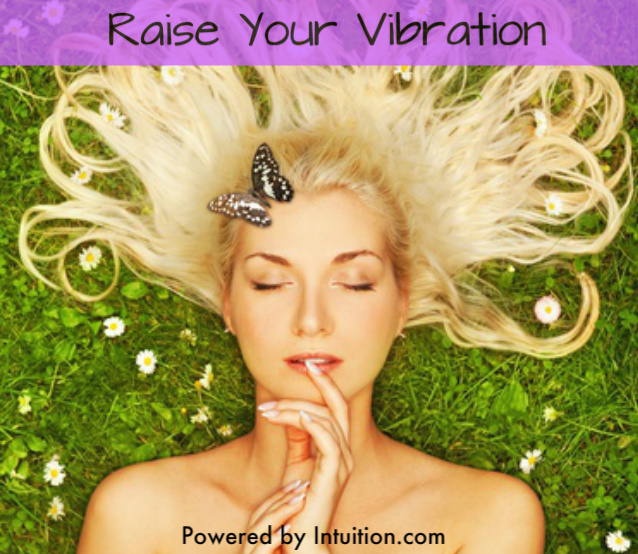 What Does Raising Your Vibration Do? First, I want to thank J.B., the Powered by Intuition community member who submitted his question on this fascinating topic. If you have a question you’d like me to answer subscribe to PBI here so you can send it to me. To raise your vibration is to overcome your negative emotions. The emotions of Courage, Acceptance, Tolerance, Love, and Joy are higher on the emotional scale as opposed to Anger, Revenge, Violence, Hate, Resentment, Judgement, Criticism, Apathy, Depression, Guilt, Fear, and Anxiety. When you’re free of those heavy dark emotions your “vibration” naturally rises to the lighter positive emotions. When your dominant emotions are at the higher levels you’re not held back by your fears and live up to your potential. Your emotional state affects the rhythm of these electromagnetic pulsations or frequencies. Dr. David R. Hawkins, author of “Power Vs. Force” mapped out the human emotions from the lowest to the highest using muscle testing. His work shows that when we feel “low” or “down and out” or in a “dark place” the energy we emit from those corresponding down and dark emotions is also moving or “vibrating” more slowly. Raising your vibration to the higher positive emotions energizes you. You feel more alive, happier and joyful and you actually are more alive because you’re healthier. You have more life force energy running through your body than someone who is depressed, or angry all the time. Dwelling in the negative emotional states is a precursor to many diseases. When your general emotional state is positive you’re enthusiastic about life and there’s a “lightness” about you. You’re aware of your purpose and more easily live it. You have more confidence and faith in yourself and deal with any challenges that arise more effectively. You feel more in control of your life and positive about your future and in general your life is pretty good. You attract positive people and fortunate circumstances into to your life because “like attracts like.” People genuinely like and want to be around you. Have you ever noticed that no matter how hard you try you cannot be around someone who stays in those dark negative emotions for too long a period? It’s hard to spend too much time around people who see themselves as victims all the time with every excuse as to why “they can’t,” complainers, angry people who blame others for everything, judgmental people and critical people. It’s too draining. After a while you just want to avoid them not just because it’s unpleasant or depressing but because their low energy state siphons off some of your life energy. When you’re around a person who thinks like a victim or feels helpless or hopeless it’s a cry for help whether they’re aware of it or not. Their neediness leeches energy from you and you sense it. This is not to say we shouldn’t be compassionate and help others, it’s just to illustrate why you feel drained after spending time around someone in one of these states. Step 1: Discipline your self to become aware of your thoughts and feelings. This is a must. Your thoughts and feelings can be trained but only if you take the time to become aware of them first. Create the intention to do this. Keep a journal and write about the the darker and emotions you had during the day. To “snap out of it” in the moment each time you catch yourself going down the rabbit hole tell your self to “STOP!. Step 2: De-stress and decompress. Meditate daily to release built up pressure so you can return to a calm centered state. Any form of meditation that slows the mental chatter works. Meditation helps you become aware of your thoughts and emotions. Step 3: Retrain your thoughts and emotions. As you become aware of the negative thinking patterns and corresponding emotions that are pulling you down make a list of them. Go through each one and apply logic and reason to deflate and refute each one. It’s the relentless intrusive thoughts that push people down into the depths of the lower emotions. And for the most part what those intrusive thoughts peddle is untrue! That’s why you’ve got to take back control of your mind by deflating those inner negative voices with logic. When you deflate the inner demons you will see things more realistically and your perception will shift. A Course In Miracles defines a miracle as a shift in perception because when you see things differently – things change. Step 4: Release judgement and blaming. When you stop judging others you will no longer attract critical people who judge you. When you stop blaming and making excuses you begin taking responsibility for everything in your life. That’s a huge step up on the emotional scale. As your awareness of your thoughts and emotions grows you’re able to corral them back up to the higher levels before they can drag you down. Your thoughts and feelings are no longer “unconscious” where they can make you react on autopilot. Step 5: Forgive yourself and everyone. It takes a lot of energy to hold onto resentments, anger and blame. When you don’t forgive it’s because somehow you think that withholding forgiveness is punishing the other person but the truth is it’s hurting you not them. It’s keeping you frozen in the lower emotions and in unhappiness. One of the biggest obstacles to forgiving is pride. If you hear yourself thinking “How dare SHE or HE!” That is your pride keeping you stuck because of your need to be right. When you forgive your emotional state will rise to the higher levels and you’ll feel happy again. Which of the negative emotions has been most problematic for you? Can you see how it’s suppressing your happiness? Are you ready to commit to the daily practice of raising your vibration? If you enjoyed this article please share it with a friend on Twitter, FB or G+.Thank you. If you’d like to submit a question please become a subscriber to Powered by Intuition – here. If you’ve felt a bit tongue-tied or suffered from fuzzy thinking for the last few weeks you are feeling the effects of Mercury Retrograde. FYI: Mercury will be retrograde from June 7 through July 1. When the planet Mercury, also known as the “Trickster,” which rules the thinking process, communication, short trips, transportation, commerce and contracts to name a few things, appears to go backward (retrograde) in the heavens it often creates delays and or mishaps in these areas of our lives. I’ve experienced every one of these during various Mercury retrogrades. Mercury retrograde can cause us to overlook details and make mistakes due to the “fuzzy mindedness” we experience during this period. And it is for this very same reason that we also tend to overlook our intuition during this time too so beware. I didn’t get a flat tire that day but a week later I did have a flat in the parking lot of the grocery store. As I pushed my cart toward the car I noticed the flat and saw glinting in the sun a shiny new nail wedged in between the treads of my tire. After going through the aggravation of getting someone to change my tire and then taking the flat one to be repaired the next day it came to me. When the mechanic showed me the extraordinarily long nail that he’d pulled out of my tire I suddenly knew exactly what had happened. A neighbor was having a new roof put on his house. I needed the contractor’s number so I pulled up alongside of his truck to jot it down. Earlier, I had planned to walk down the street to get the number off the truck but a few things had cropped up at home and I didn’t have the time so I thought I’d get it on my way grocery store. I had this weird feeling that I shouldn’t pull up so close to the truck because often contractors are careless and drop all sorts of things they never bother to pick-up but, I ignored it. I was in a rush and too focused on getting the phone number and that is most likely how this very, very long nail got into my tire. My intuition tried to warn me to be careful about getting a flat twice but I had not paid attention. During another Mercury retrograde period years ago I was driving a car that was approaching 9 years old and had been feeling for many months that it was time to buy a new one but had put it off. I had been saving money and wanted to wait until my next big commission check so I could by the car outright instead of financing it. Suddenly the transmission slipped and I had no control over the accelerator! I carefully guided the car off the highway to the side and just as I did the transmission kicked back in. I was so relieved that I forgot all about the urgent feeling I had about buying a new car. Two weeks later I was in a minor accident when a woman driving a huge Suburban hit the back of my car at the light. The damage to my car was declared a total loss and I had to practically give the car away for nothing to the dealer to take it off my hands. If I had listened to my intuition and gotten a new car when I first began getting those “urgent feelings” or at least right after my transmission slipped I would have been able to trade it in toward a new car. Don’t let Mercury the Trickster mess with you during this retrograde make sure you pay extra special attention to your intuition from now through the first week of July. Have you felt the effects of Mercury Retrograde? Did you have an inkling from your intuition that you ignored? Share your experience with us in the comments section. P.S. 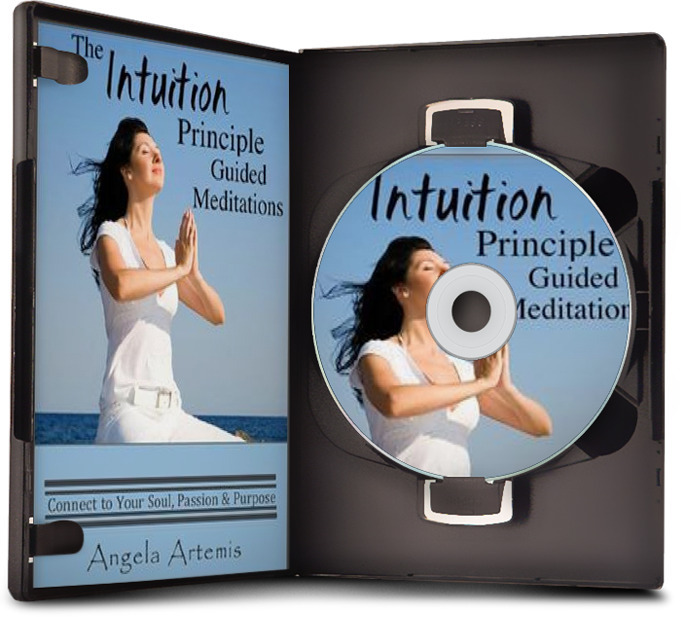 Learn to tune into your intuition: Click here! Not long ago I had the pleasure of spending 90 minutes doing a very thorough Astrology Life Purpose consultation for a client. 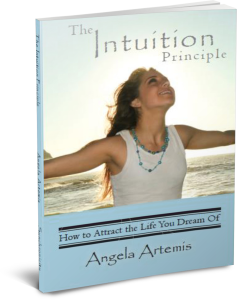 Like many readers of Powered by Intuition she had been unsure of her destiny and life purpose for some time. She was very unhappy in her career and longed for a change but feared making the wrong decision. Her lack of clarity around the purpose of her life kept her stuck in a never ending loop of two steps forward and one step back. When she finally came to me for the Life Purpose session she was frustrated and nearly ready to give up trying to change her life. She had always been drawn to working with horses but when she got out of college she had taken a good secure job working for local government instead. And that’s what she’d been doing for fifteen years. Her chart clearly revealed that her strengths, talents and amazing gifts were all geared toward working with animals and that she would meet with great success in these areas if she were to act upon them. She was delighted with what her chart showed about her destiny and said that it confirmed what she had been feeling was right for her all along. Many times you have a gut instinct about what your purpose is but your insecurities overshadow and suppress it. Finding your life purpose requires listening to your intuition. There are many signposts along the way during your life but you ignore them usually because of your fears. For example, in my own life I doubted myself for years. I fell into the trap of believing that because I was good at something (financial sales) that it was my purpose to stay where I was in my “real” job. I’m not saying there is anything wrong with having a “real” job at all. What I want to point out is that many times we ignore our intuitive guidance and don’t trust our instincts because we assume that the conventional norms of society are right rather than trusting our own feelings. And this is exactly what my client had been doing to herself for years as well. After the reading she began the process of looking into preparing to live out her life purpose. And last I heard from her she was very excited about how thing were coming together. Then, I got another email from her. She was confused, upset and feeling insecure about her future again. She had been asking the Universe to provide signs for her that she was on the right track and hadn’t gotten any since right after her reading with me. Why am I not getting any more signs when I ask for them? I’m afraid I’m making a mistake and I don’t want to throw away a good job and my future without a sign. Does this mean I shouldn’t go forward with my plans? (She had read my book, “Navigating by Intuition: How to Follow the Signs” and was referring to a method I described about how to ask for specific signs). Now that she had stopped getting signs she was afraid that she was on the wrong path. She had received many signs during her lifetime that she was meant to follow this path. This client had been afraid to act upon them because it would mean that she would eventually have to give up her current job security. So instead she did what many people do – she rationalized that it was “irrational” to do such a thing and began a cycle of constantly questioning her judgement. 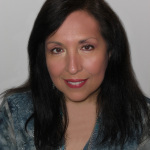 Her intuition led her to me and to have an astrological life purpose consultation. When her chart confirmed everything she had been feeling it boosted her faith and confidence immensely. She realized that it wasn’t “irrational” to want to do what she had been longing to do and born to do. Her path was meant to be different from the “norm” in society of having a regular job, and she finally got that there was nothing wrong with that or with her. The trouble arose when she started bumping up against the wall of her comfort zone. As she began planning how to live her purpose and leave her job her old insecurities rose up again. She began asking for “signs” to reassure her and to quiet the critical voices in her head that feared change and moving beyond her comfort zone. The thing is that she had already gotten her biggest sign; that of the astrology life purpose reading which showed her the entire map of her life just as she had been feeling it was meant to be. The session confirmed what she had intuitively been pulled toward her whole life. At some point you have to be able to go on faith alone. You have to move forward even when you feel scared and insecure. If you keep asking for signs over and over even after receiving one as clear as the life blueprint contained in your astrology chart you are reinforcing your fears rather than moving confidently in the direction of your dreams. You are telling the Universe that the “biggest” sign wasn’t good enough and that you want to remain scared and stuck. And since the Universe reads your thoughts and feelings it will deliver exactly what you have ordered up – more fear, indecisiveness and remaining stuck in your comfort zone. When you relax and start moving forward on the path toward your destiny the signs will reappear – but don’t wait until they do or build your entire life upon getting a sign otherwise you will remain stuck. You must always continue to move confidently in the direction of your dream even in the absence of a sign. This is not to say that you should do something rash like quit your job before you save up money or develop a good transition plan. Keep going and taking one step after another in the direction of your destiny and eventually the signs will return. Always remember that signs reinforce action not inaction. Have you been holding yourself back? Can you see how fear keeps you stuck? What will you do differently from now on? If you enjoyed this article please share it with a friend on Twitter, FB or Google+. P.S. Learn to hear your intuition: click here. A conversation about Intuition and Destiny. The better you become at recognizing your inner guidance the more successful your life will be. Think of your intuition as a “ping” not unlike the ping from a sonar device on a submarine. When you are near danger your intuition pings. When you are discontented with your life you get a ping and when you are on track you get another ping that bubbles up from your soul and makes you want say, “I love my life!” These are the pings that guide you on your journey to find your purpose and destiny. Another way to find your purpose and destiny is to have your astrology chart done. Astrology is a very accurate method for honing in on your destiny. The planets, asteroids, aspects and angles at the time of your birth are unique to you and explain your personality and character traits. The birth chart will show you what your life purpose is, lessons you need to learn, lessons you’ve mastered, and your gifts and talents. Your chart will also show you whether you are innovator, great business mind, feel most comfortable working from home or whether you need to be out with people. It will clearly show you that you belong in the law field, publishing, or in journalism or some other writing profession. The chart will show you whether you have the soul of poet,artist or musician or whether you are meant to be in the sciences. It will show you if you have the talent to make wise investments or not or if you’re meant to manage other people. The list is endless. It’s amazing how accurate the chart is. If you are unsure about your purpose a life purpose reading will give you much needed clarity. You can find your purpose in a very short amount of time. Instead of spending years wondering and spending time in the wrong career you receive immediate confirmation through having your birth chart read. Stop wondering and start living your true purpose! Learn more here. Tune in to my fun conversation with Victor Schueller. Click the audio player to listen. Do you know your purpose? What questions do you have about astrology or finding your life purpose? Share them in the comments. If you enjoyed this post share it Twitter, Facebook & Google+. Thank you. P.S. 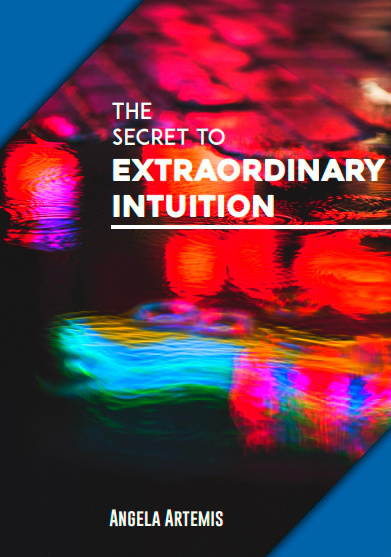 Turn up the volume on your intuition – click here! Vedic Astrology is gaining in popularity and with good reason. It originated in the East but followers of Western astrology are beginning to appreciate it for its interesting combination of strengths.